We carry a variety of super healthy (and delicious) foods and drinks to calm your hunger and thirst while keeping you fit. Take a look at the brands we carry and stop by the market to find even more. The best tasting and highest quality kombucha flavored with cold-pressed juice. One of our favorites, Ginger Lemon Kombucha is delicious brew flavored with cold-pressed juice from organic, raw ginger and lemon. Simply powerful! 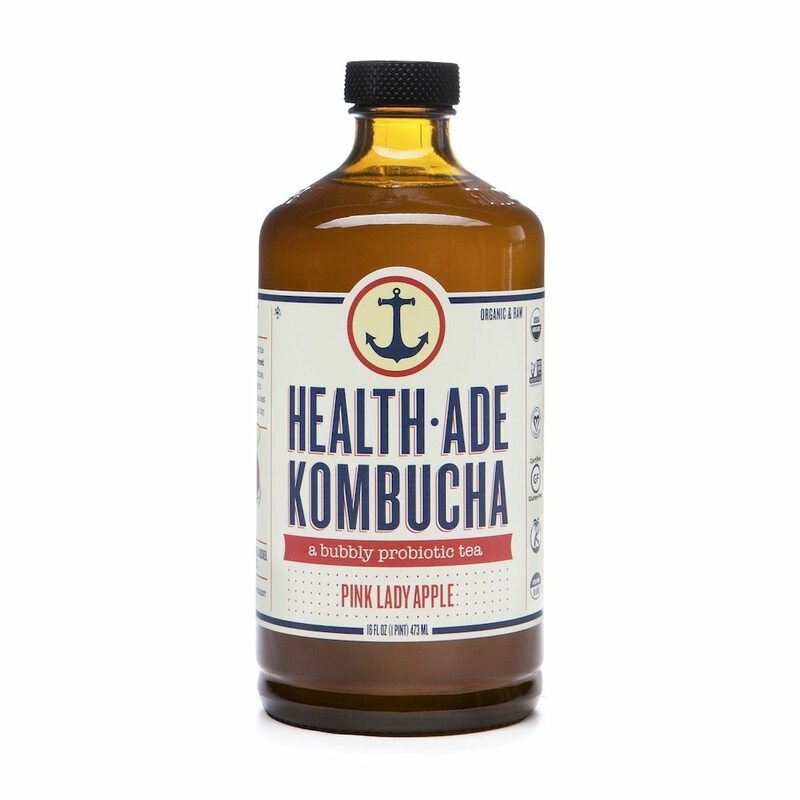 Ingredients: filtered water, kombucha culture (yeast and bacteria cultures), organic black tea, organic green tea, organic evaporated cane juice (sugar), fresh cold-pressed organic lemon juice, fresh cold-pressed organic ginger juice. Organic and raw delicious brew flavored with cold-pressed juice from organic Pink Lady Apples. It’s incredibly crisp and slightly sweet with a hint of cider making it truly nature’s treat. Pomegranate surely tops the list for its nutritious benefits. No wonder this delicious brew flavored with cold-pressed pomegranate juice is one of our favorites! Ingredients: filtered water, kombucha culture (yeast and bacteria cultures), organic black tea, organic green tea, organic evaporated cane juice (sugar), fresh cold-pressed organic pomegranate juice. This organic and raw Health-Ade's California Grape kombucha is a delicious brew with cold-pressed organic California grapes. The perfect mix of tart, soft, and sweet! Ingredients: filtered water, kombucha culture (yeast and bacteria cultures), organic black tea, organic green tea, organic evaporated cane juice (sugar), cold-pressed organic grape juice. Health-Ade’s Blood Orange, Carrot, Ginger kombucha is a unique blend of flavors that makes this brew the perfect refreshment any time of day. The slightly tart, yet robust flavor make it one of our favorites. Ingredients: filtered water, kombucha culture (yeast and bacteria cultures), organic black tea, organic green tea, organic evaporated cane juice (sugar), cold-pressed organic carrot juice, cold-pressed organic blood-orange juice, cold-pressed organic ginger juice. is a delicious yet fortifying combination of wheatgrass, spirulina & camu camu. Super healthy and delicious! Ingredients: filtered water, kombucha culture (yeast and bacteria cultures), organic black tea, organic green tea, organic evaporated cane juice (sugar), organic spirulina powder, organic wheatgrass powder, organic camu camu powder. We carry a variety of delicious and organic super-herb elixirs, proteins, and almond milks in different flavors. Maca root is traditionally used to enhance vitality, stamina and energy. This super-herb powered coconut milk elixir will surely boost your energy levels early AM! 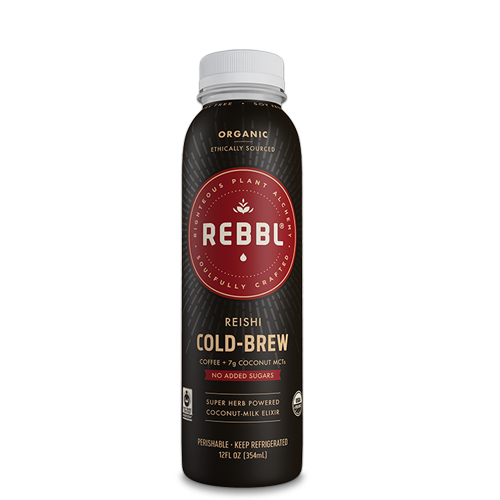 Key ingredients: Organic cold-brew coffee, vanilla, and maca. Turmeric is one of the most valuable herbs in the human diet. This delicious Golden-Milk elixir is designed to help increase the bioavailability of curcumin, turmeric’s star antioxidant, and keep you healthy. This dark cocoa super-herb powered coconut milk elixir is both delicious and healthy! Emerald green matcha is the finely ground powder of the whole, young green tea leaf. Renowned for its smooth, calm, and clean energy, this Matcha Latte elixir is not only tasty but is also said to have plenty of health benefits! Reishi is used to support healthy immune system. This super-herb powered coconut milk elixir is delicious, too! This powerful protein drink is full of super-herbs to give you the maximum benefits Earth can offer. Did we say it's super tasty? This delicious organic and creamy Vanilla Bean almond milk is highly nutritious, with a dash of organic dates and cinnamon - one of our favorites! 100% pure, organic and abundant in almonds, this delicate chocolate flavored almond milk is simply irresistible! Looking for an alternative to your daily coffee brew? Try this organic Mocha Almond Latte. A perfect combination of a cold brew coffee and raw cacao, this organic almond latte is simply delicious! This Matcha Green Tea Almond Latte combines the unique flavor of premium Japanese Matcha with the natural sweetness of organic dates. Perfect for your early AM! We, at Reston Farm Market, are committed to offering the best farm-fresh products to our customers. Sourced from local producers, our selection of products reflect on our commitment to delivering only the best product offerings to our community in Northern Virginia. Delicious farm-fresh milk and chocolate milk comes from some of the best producers and are super tasty! Delicious Farm Friend milk is not only tasty, but healthy, too! Nutritious and healthy, Nature’s Yoke eggs are produced on small, certified organic farms. Chocolate Milk ice cream are made with the finest, real, wholesome, and clean ingredients by iconic GOODPOP. Made with Fair Trade Certified Organic cocoa powder, local rBST-free local fresh Texas dairy and a hint of sea salt, it is OU Kosher, gluten free, wheat free and is also guilt-free, at only 120 calories. Enjoy! Organic, vegan, and gluten free, these delicious Cookies N'Cream ice cream are made with the finest, real, wholesome, and organic ingredients by iconic GOODPOP. Vegan, USDA Organic, Gluten-Free, OU Kosher, and Fair Trade Certified, it comes at only 110 calories and 11 grams of sugar. Enjoy! Orange N'Cream ice cream are dairy-free, vegan, real and really good. The exterior shell is a bright sherbet blend of Valencia orange juice and organic coconut cream. The creamy core is organic coconut cream and fair trade vanilla. Non-GMO Project Verified, OU Kosher, vegan, gluten free and guilt free at only 80 calories and 9 grams of sugar. Enjoy! Yummy blueberry yogurt from Pequea Valley Farm - all natural from grass-fed cows. Delicious strawberry yogurt from Pequea Valley Farm - all natural from grass-fed cows. Tasty peach yogurt from Pequea Valley Farm - all natural from grass-fed Jersey cows. 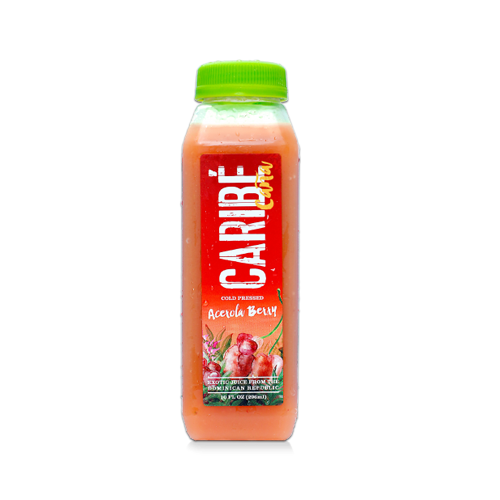 Have some of super delicious cold pressed, all natural fruit juices made from exotic fruits sourced directly from the Dominican Republic.